1st October is both the Glasgow Great Scottish Run (10K and half marathon) and the start of #inktober Jake Parker's month long inky marathon. So for Day 1 I drew this true story about how I performed well because of the fear of the orange battery bunny pacer on him trail. For the record I did do a PB and come in under the hour. It's fun to break out the inks (mostly fineliners) for a month but I can't give up on digital all together so I digitally annotated a photo of a superhero safety pin as I searched for our secret stash that only come out for running events and emergencies. 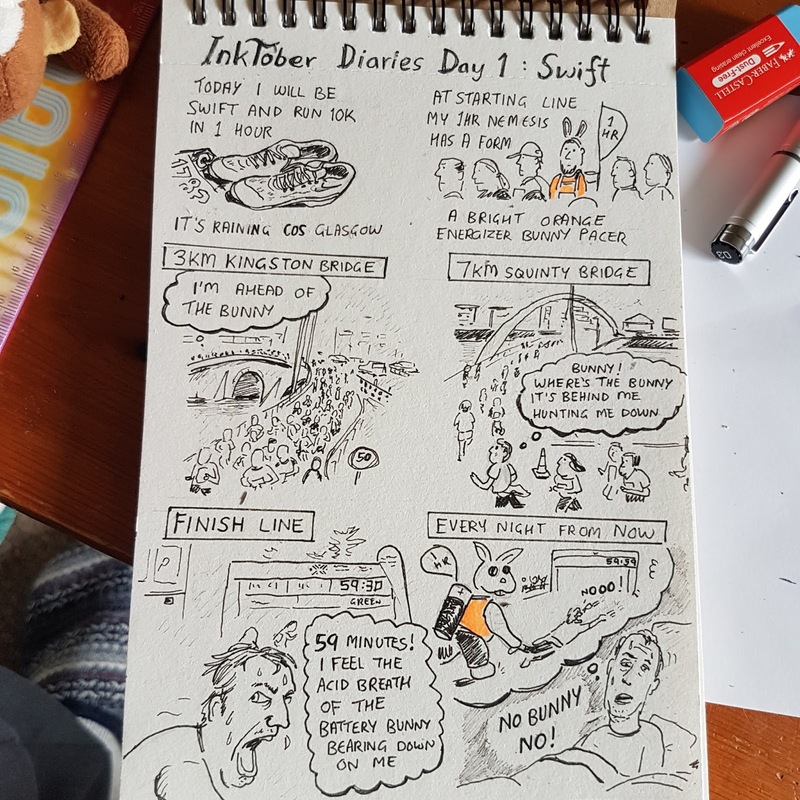 I have seen so many people participating in inktober on social media. I think the concept is really fun. Your illustration looks great as well.